Nothing says good morning or good afternoon like a cup of coffee. 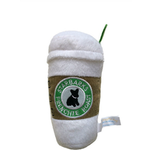 Give your dog the enjoyment the Starbarks With Lid Plush Dog Toy. 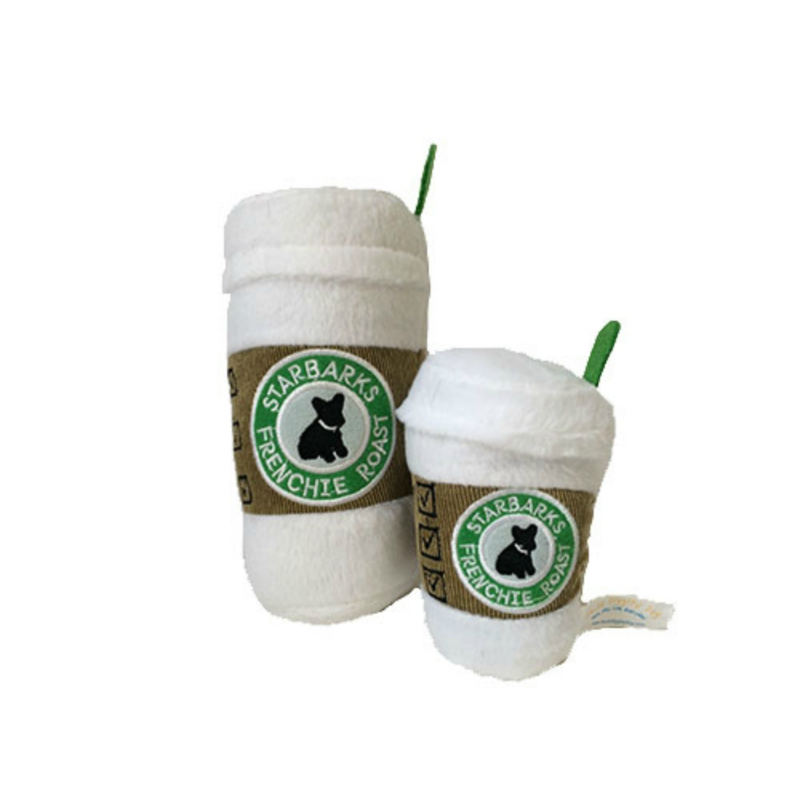 The Starbarks With Lid Plush Dog Toy is available in two sizes for your dog to enjoy. 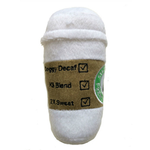 The coffee travel cup designed plush toy includes a squeaker that you dog will enjoy playing with. It is also accented with a cup sleeve and "Starbarks Frenchie Roast" is embroidered on the front of the cup. Now you best friend can enjoy a cup of coffee with you whenever! Posted On 02/12/17 by Nina L from , Yes, Nina L recommends this product! Who doesn't like a good cup of coffee? Very cute. Love this. The adorable web site design and clean layout made shopping a real treat. The checkout process was easy and fast. I look forward to shopping at BaxterBoo again!